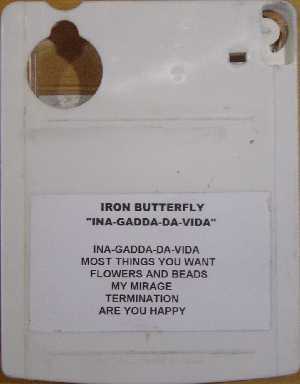 Note: these stickers vary in placement! 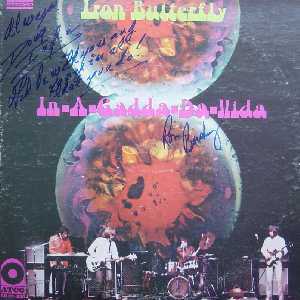 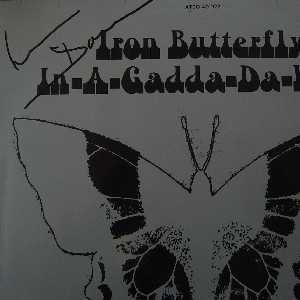 autographed by Ingle and Bushy. 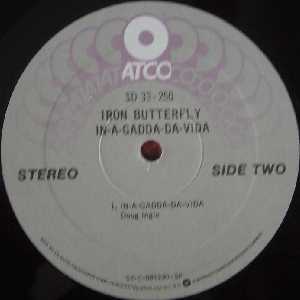 Note: At least two pressings of this exist, both with a serious mains hum problem on side A.
later Kinney pressing. 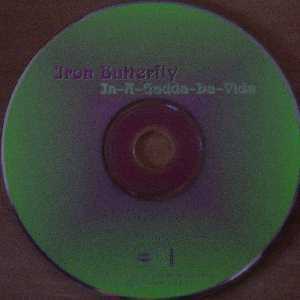 One version has earlier matrix on side one. Another has the earlier matrix for both sides. 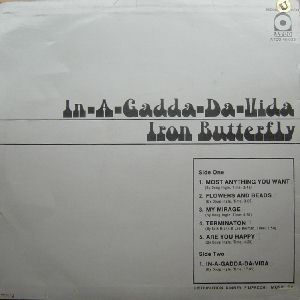 prototype pressing with mirrored silver sleeve. 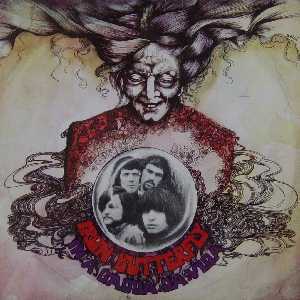 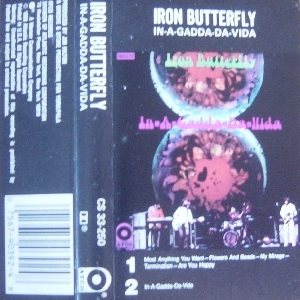 Shown here is the version with a red label. 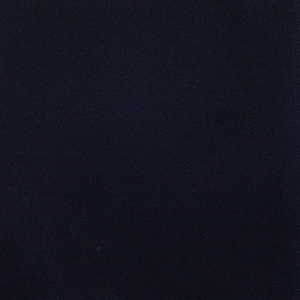 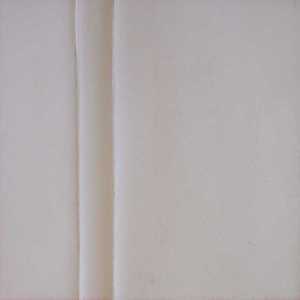 A version with a white label is also in the collection. 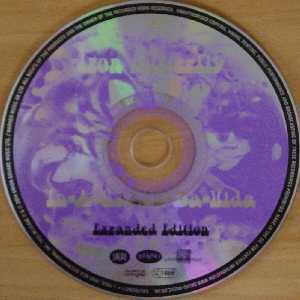 with LC code on label. 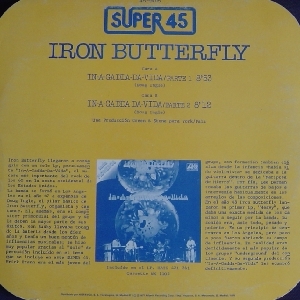 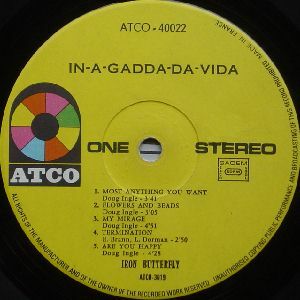 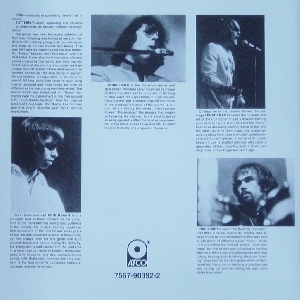 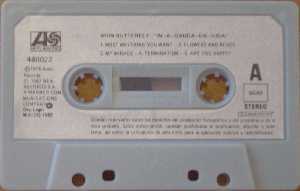 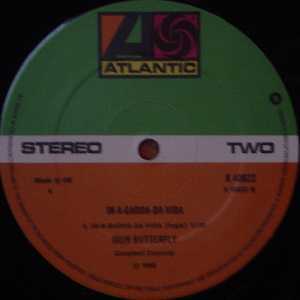 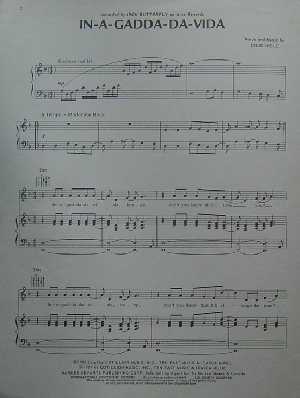 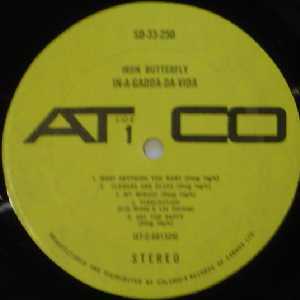 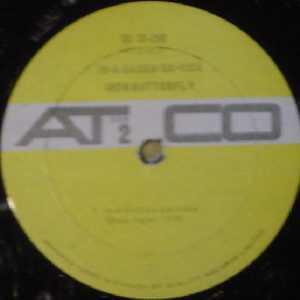 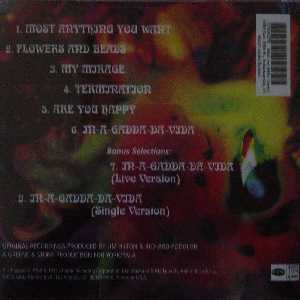 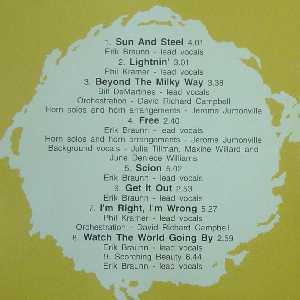 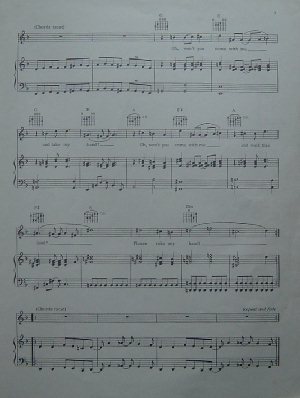 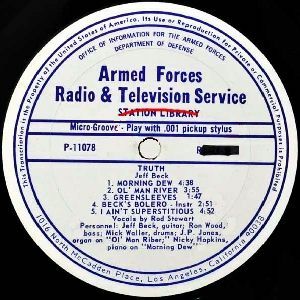 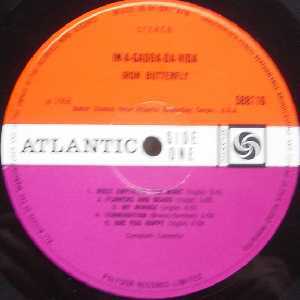 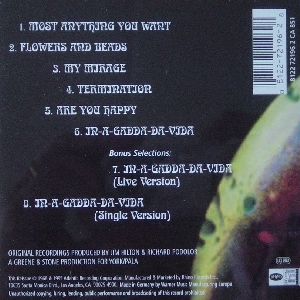 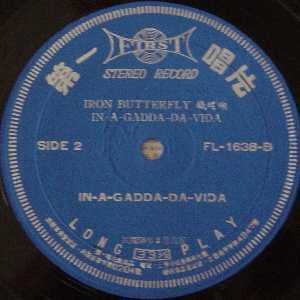 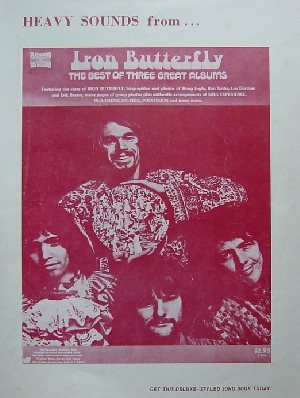 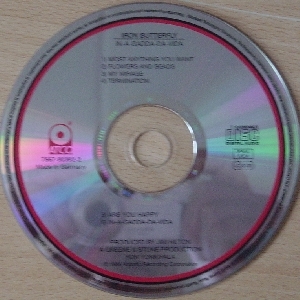 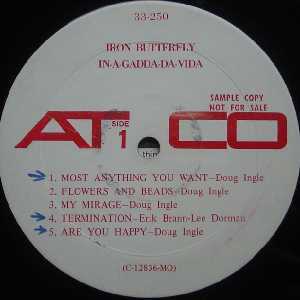 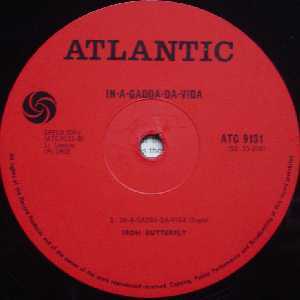 Some copies lack a space between tracks 4 and 5 on side one. 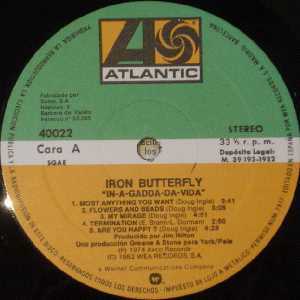 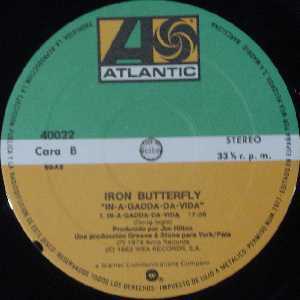 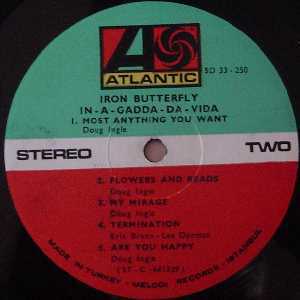 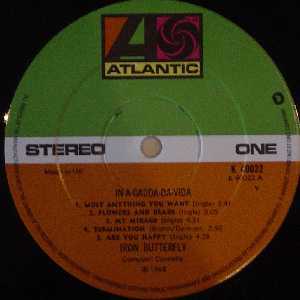 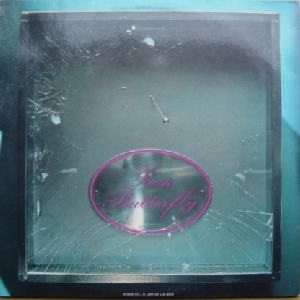 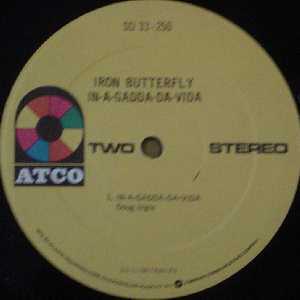 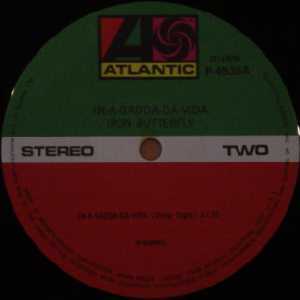 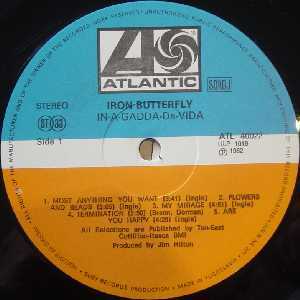 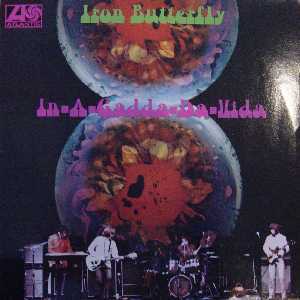 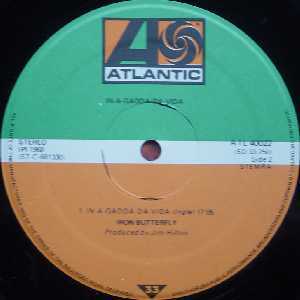 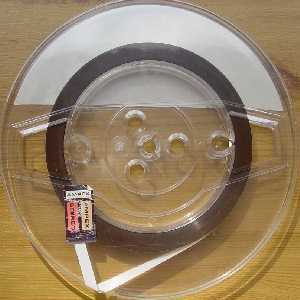 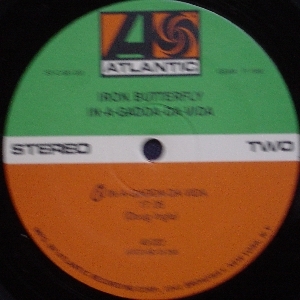 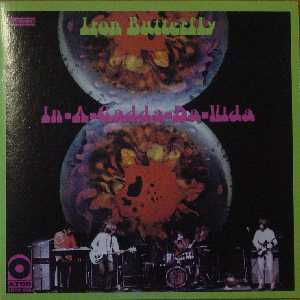 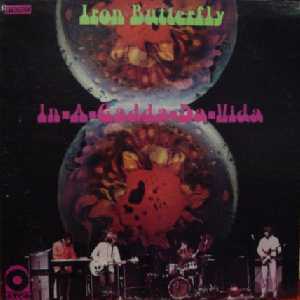 Twelve inch 45 rpm record of the title track split over two sides. 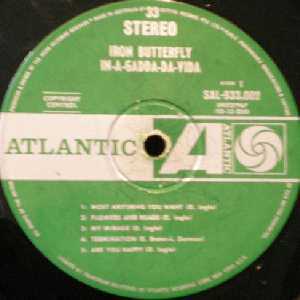 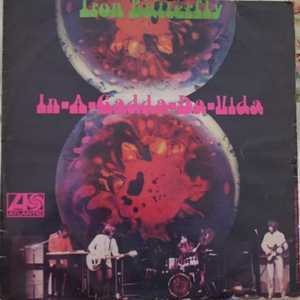 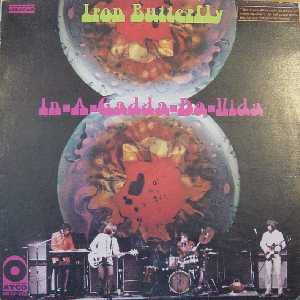 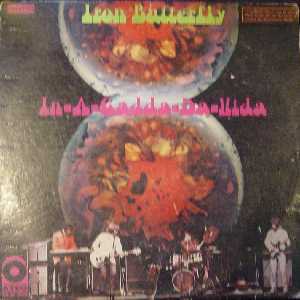 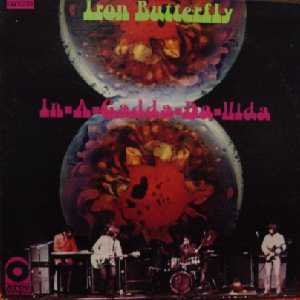 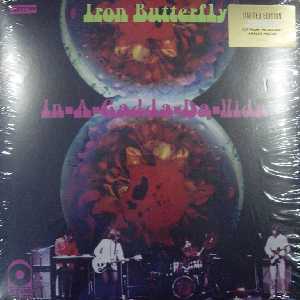 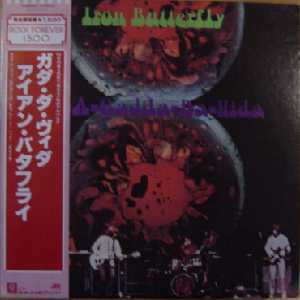 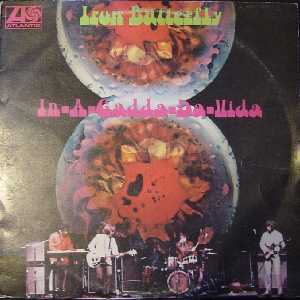 Stereo LP. 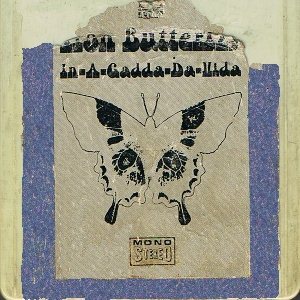 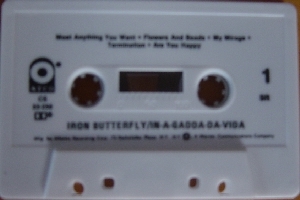 A mono version also exists. 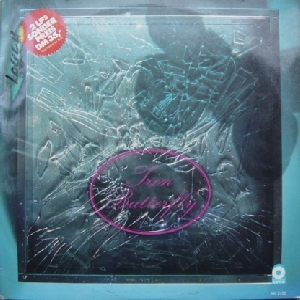 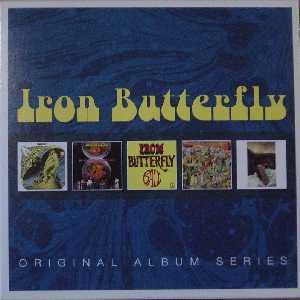 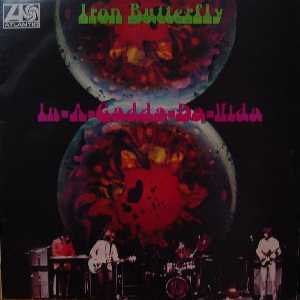 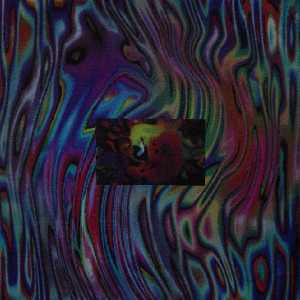 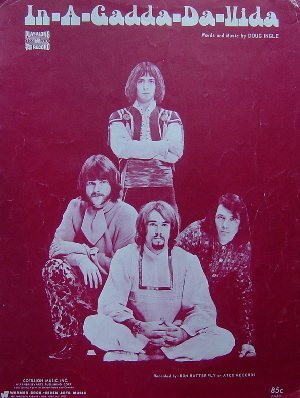 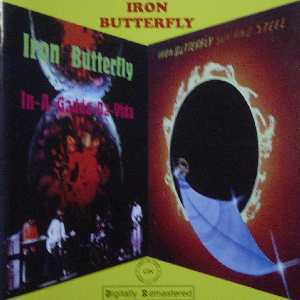 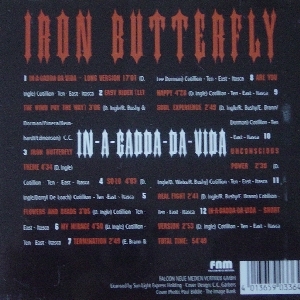 Reissue in the Rock Forever series, includes OBI. 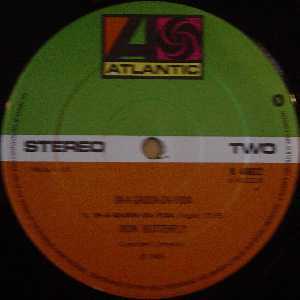 Thanks to my friend Klaas Jelle Veenstra for this gift. 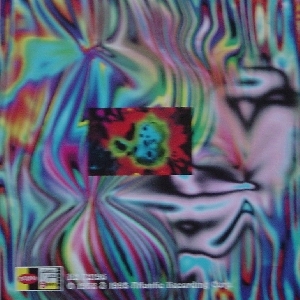 Belguim pressed by EMI ! 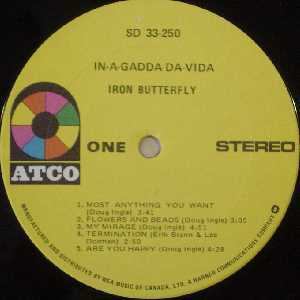 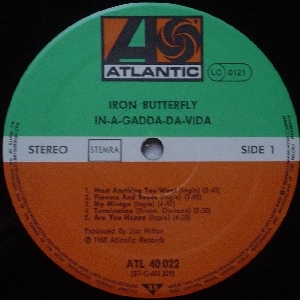 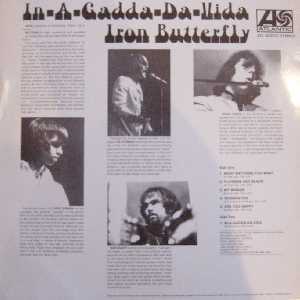 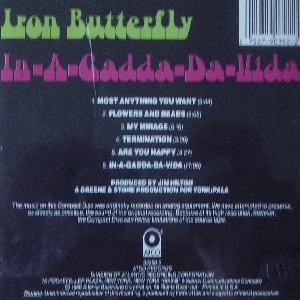 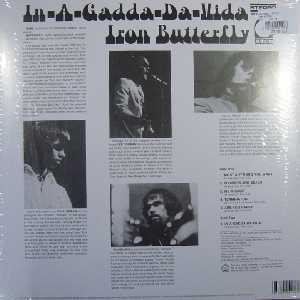 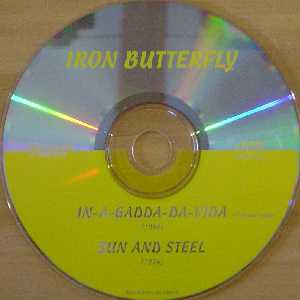 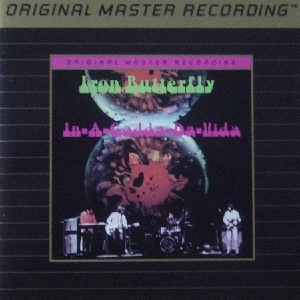 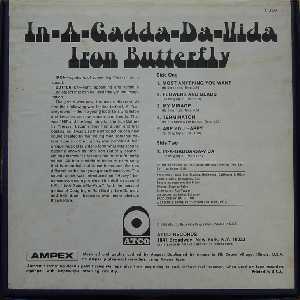 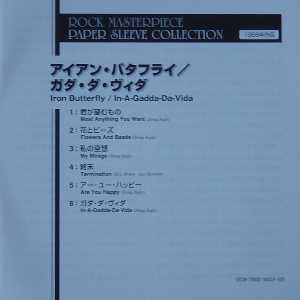 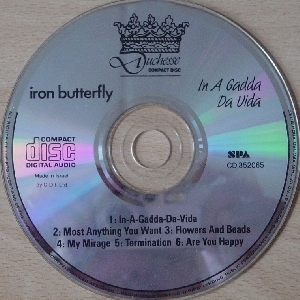 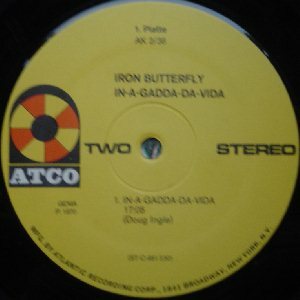 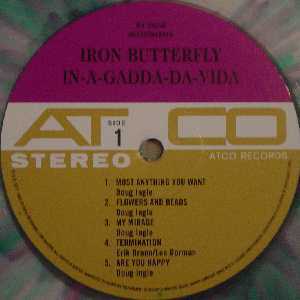 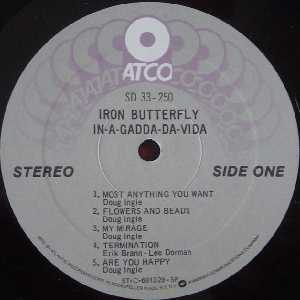 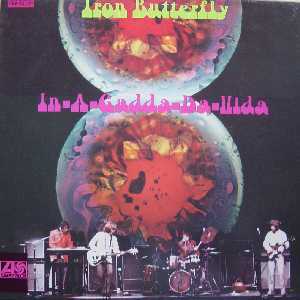 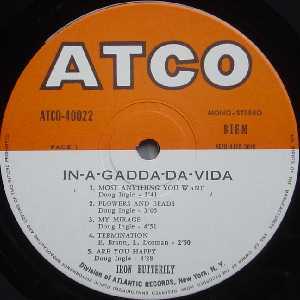 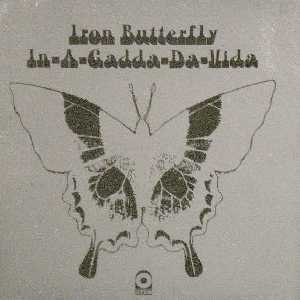 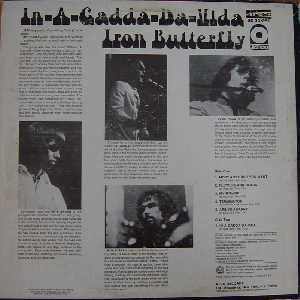 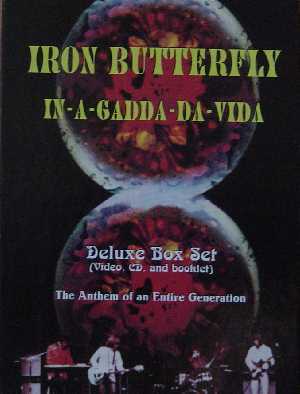 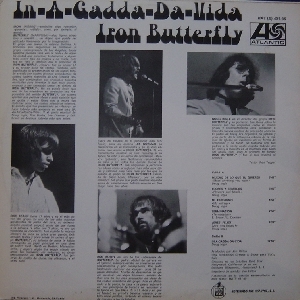 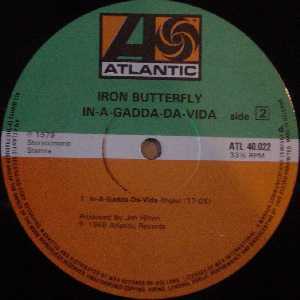 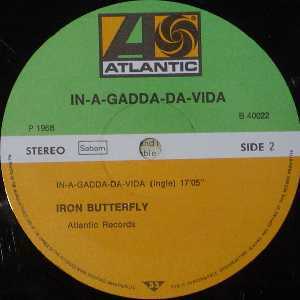 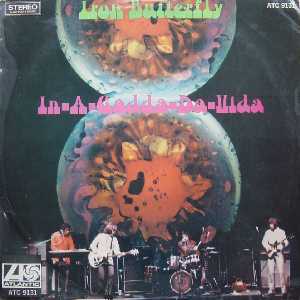 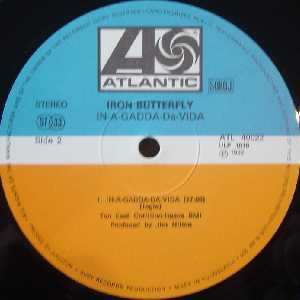 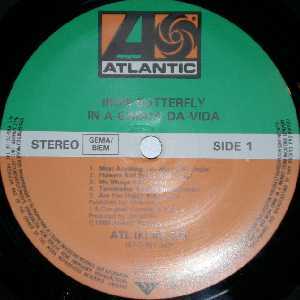 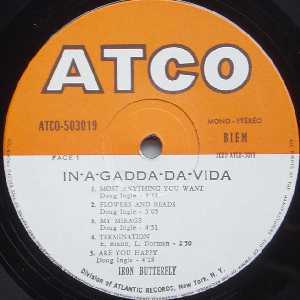 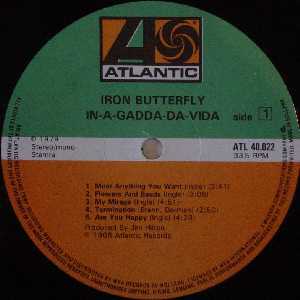 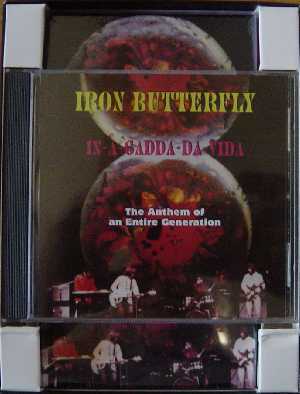 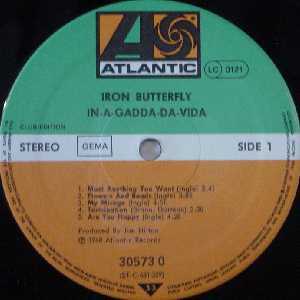 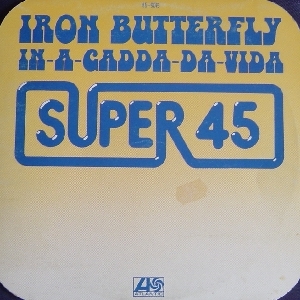 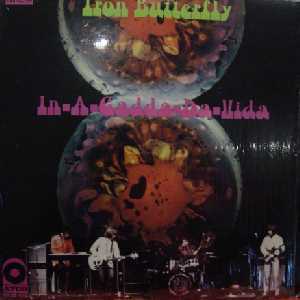 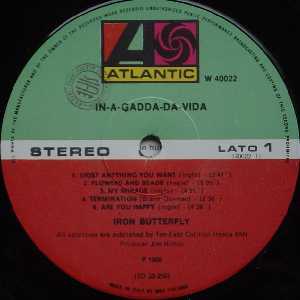 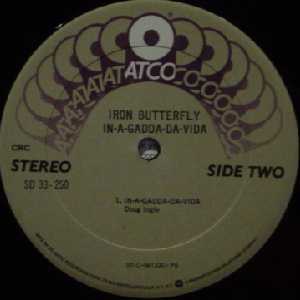 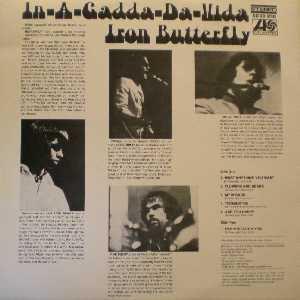 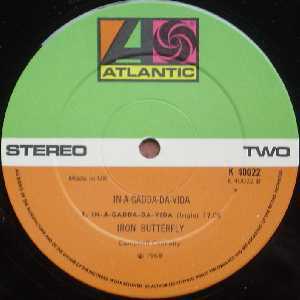 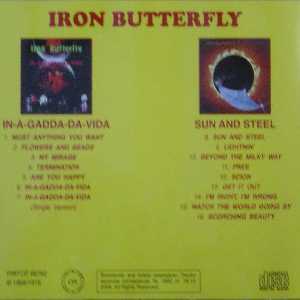 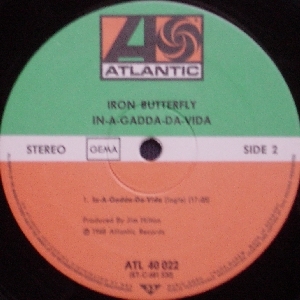 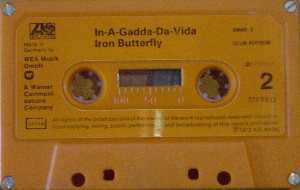 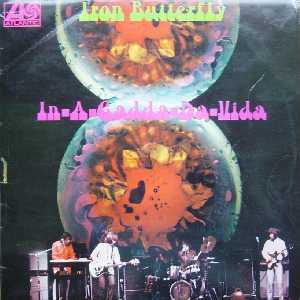 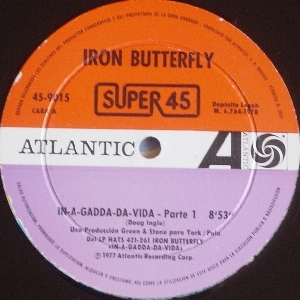 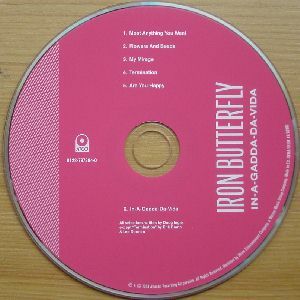 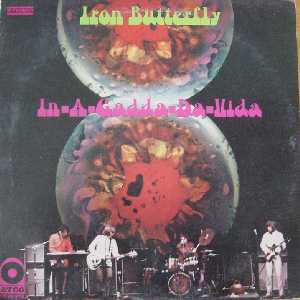 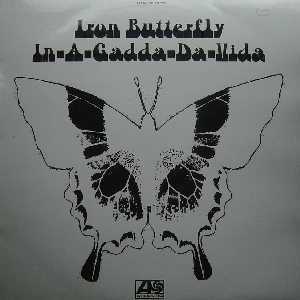 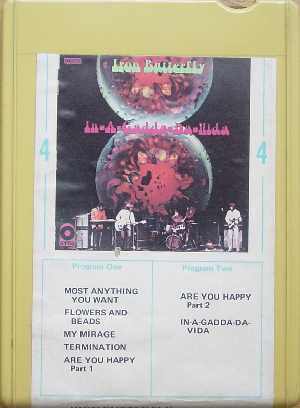 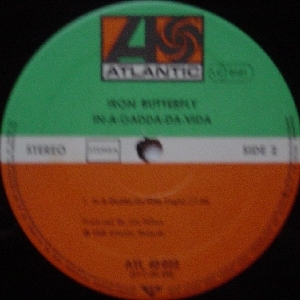 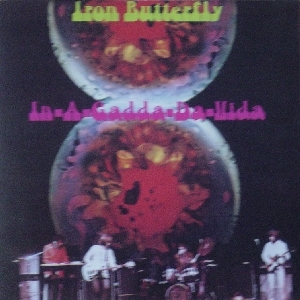 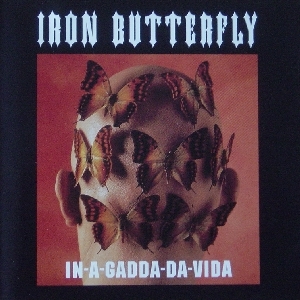 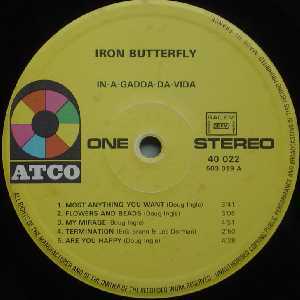 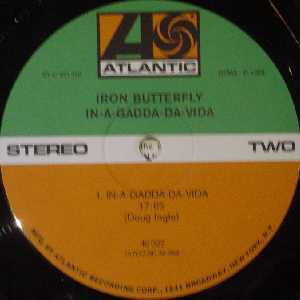 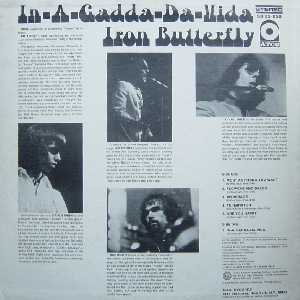 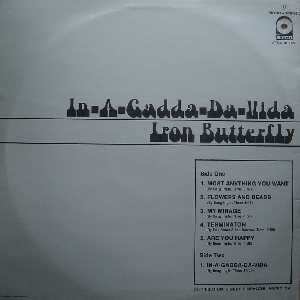 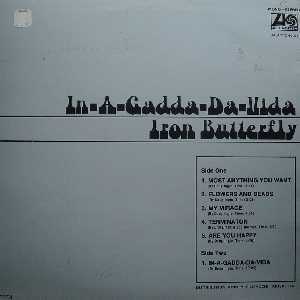 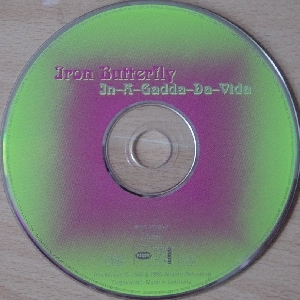 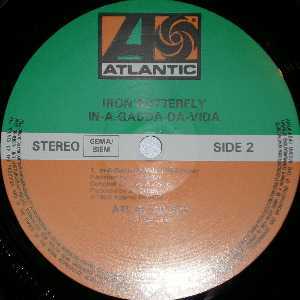 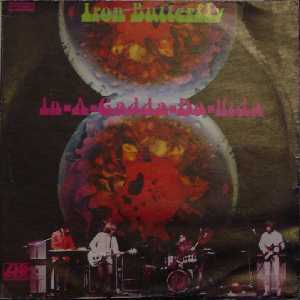 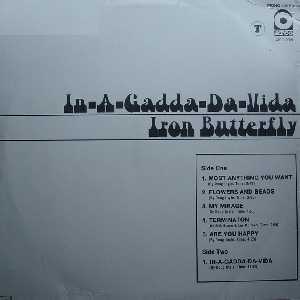 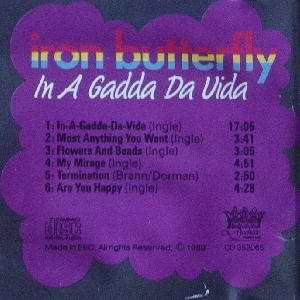 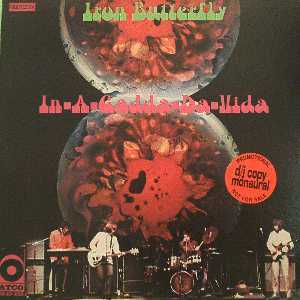 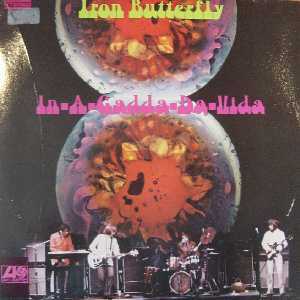 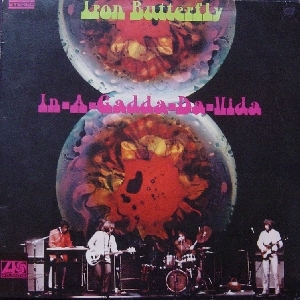 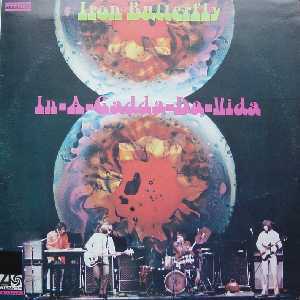 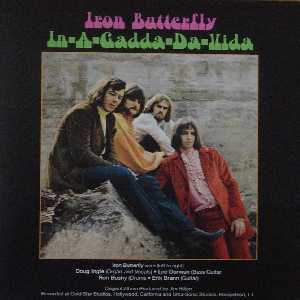 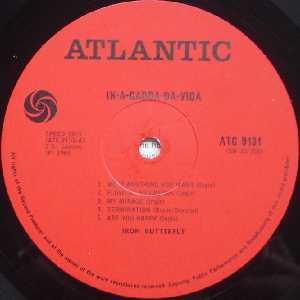 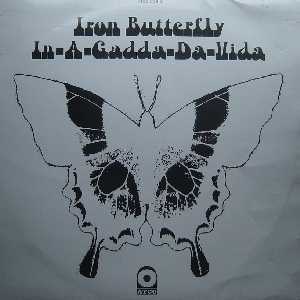 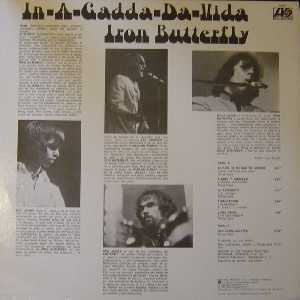 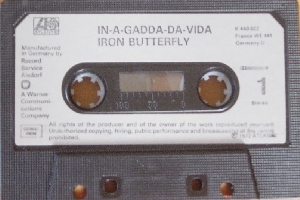 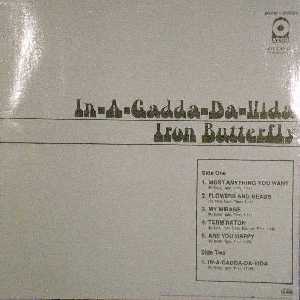 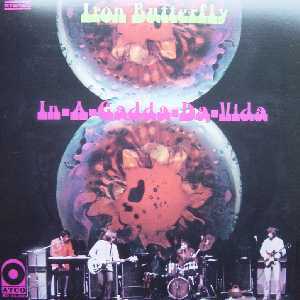 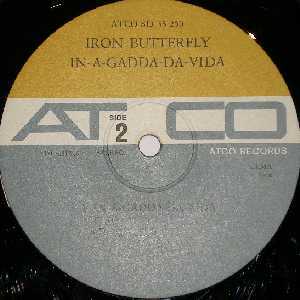 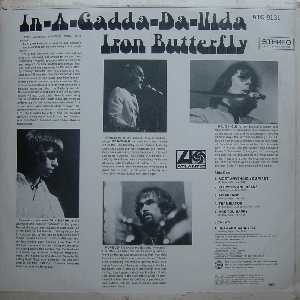 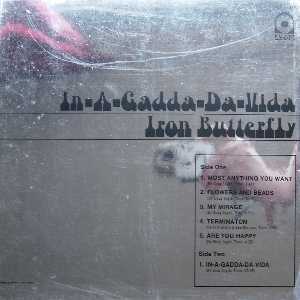 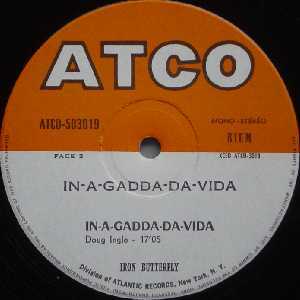 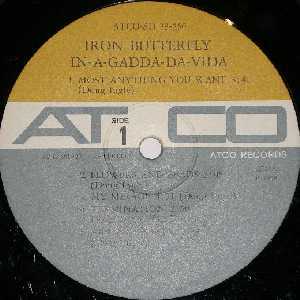 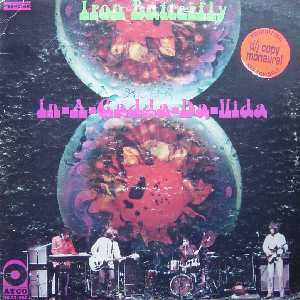 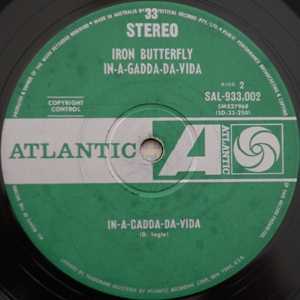 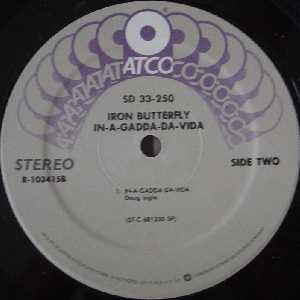 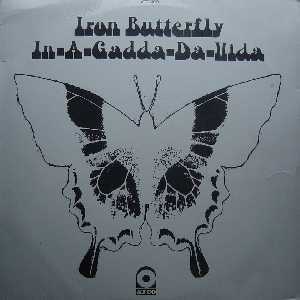 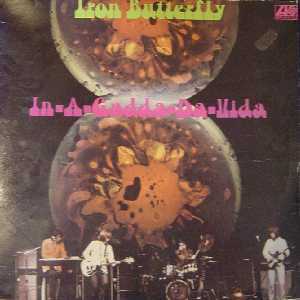 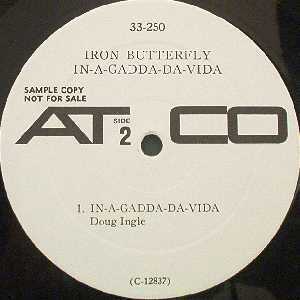 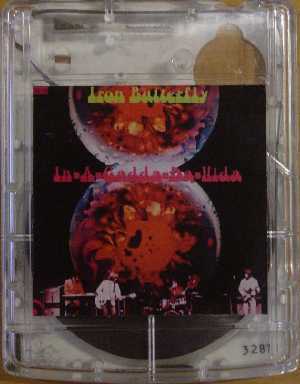 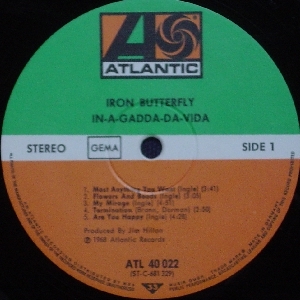 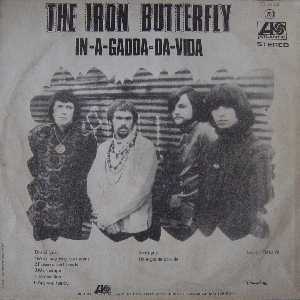 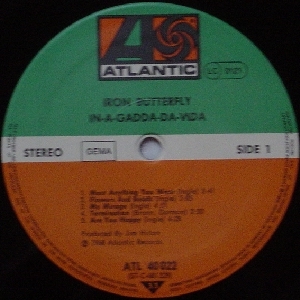 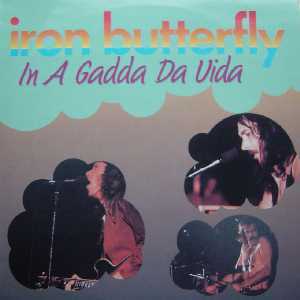 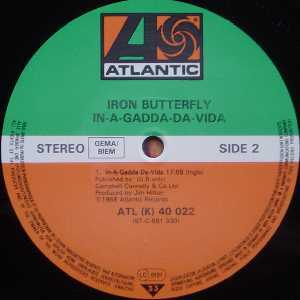 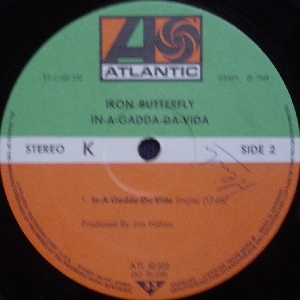 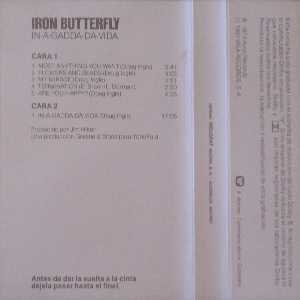 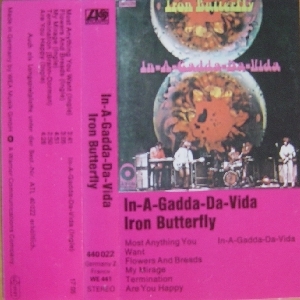 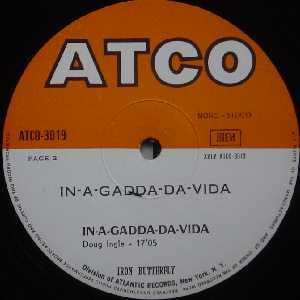 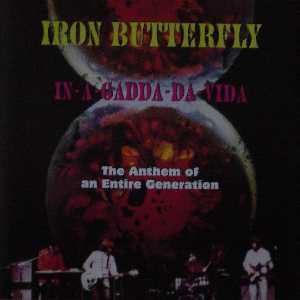 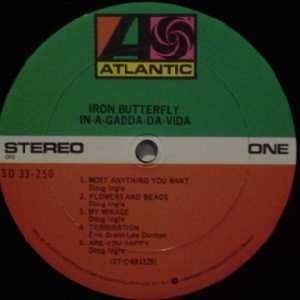 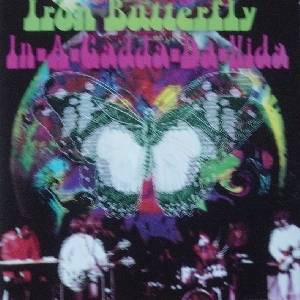 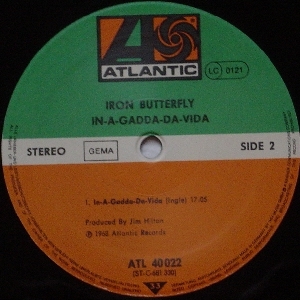 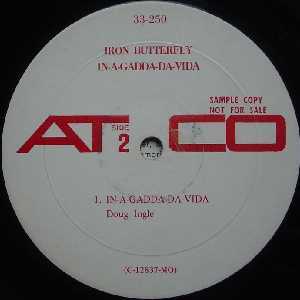 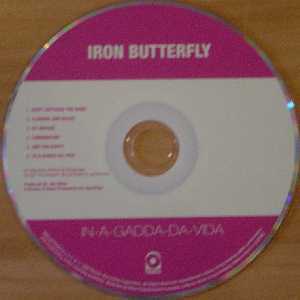 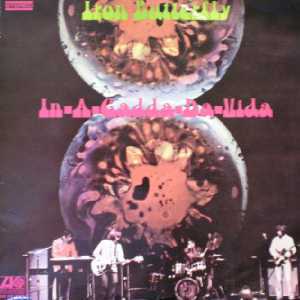 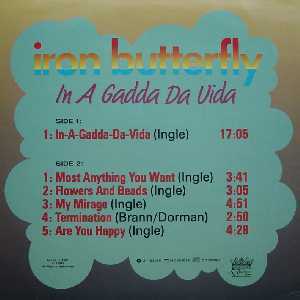 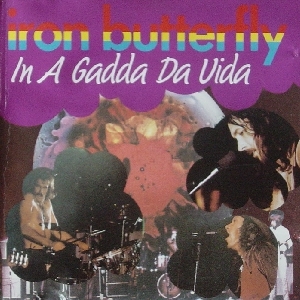 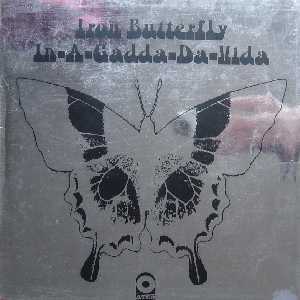 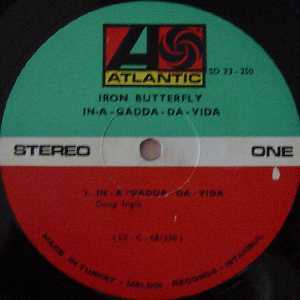 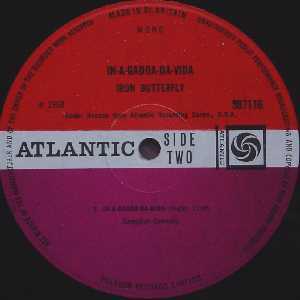 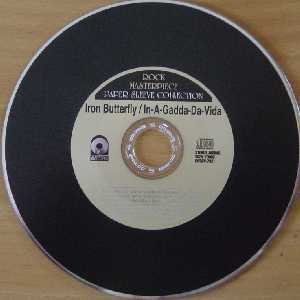 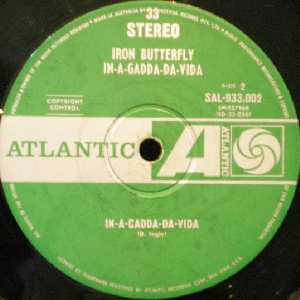 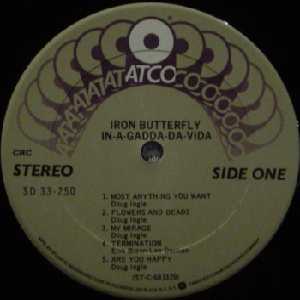 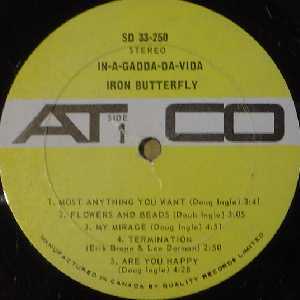 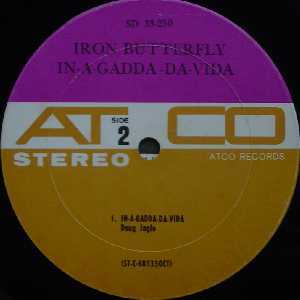 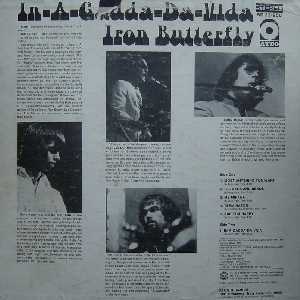 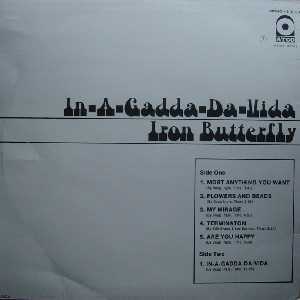 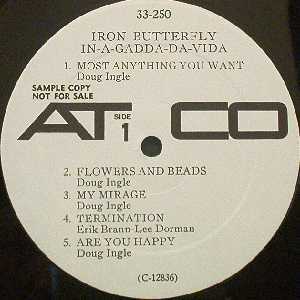 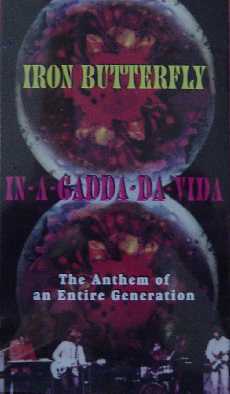 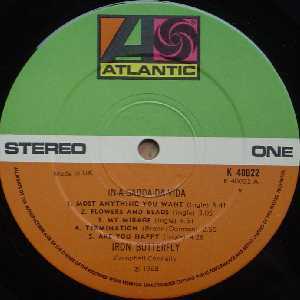 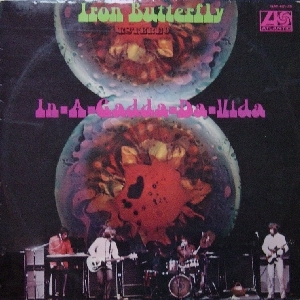 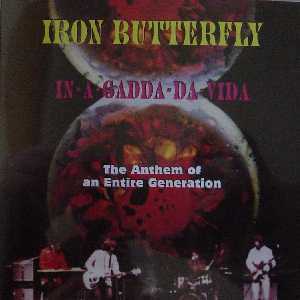 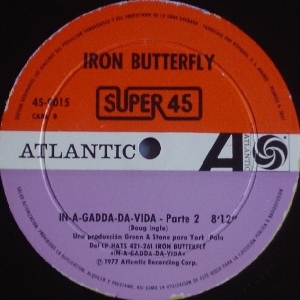 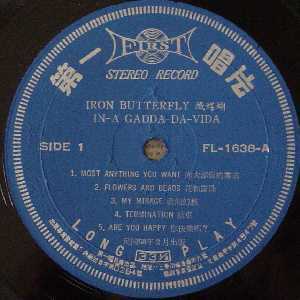 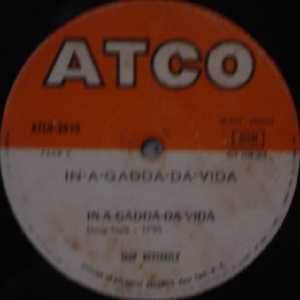 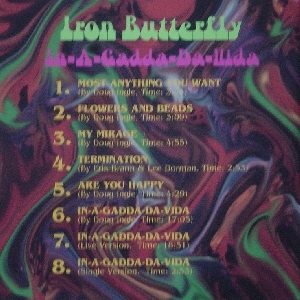 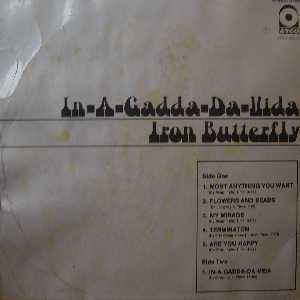 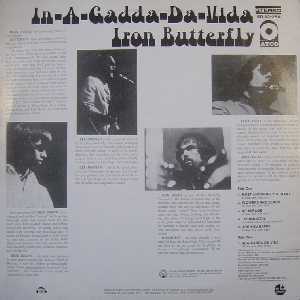 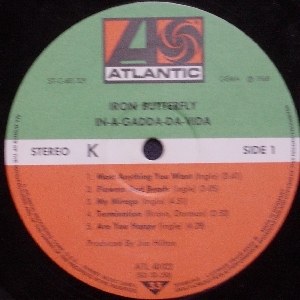 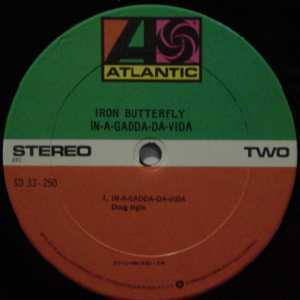 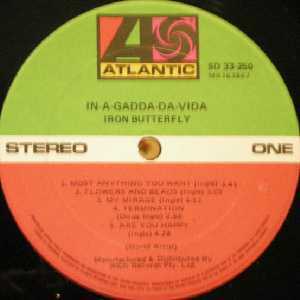 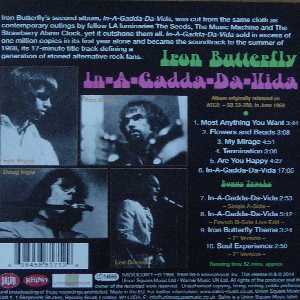 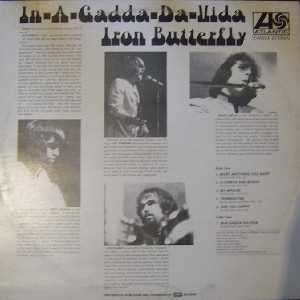 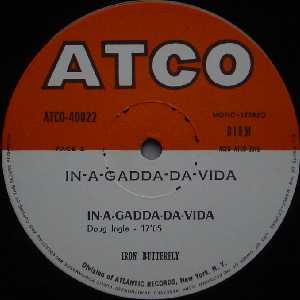 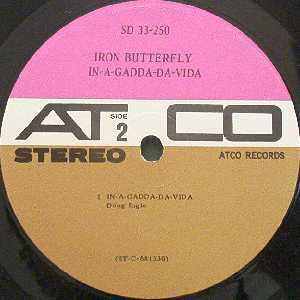 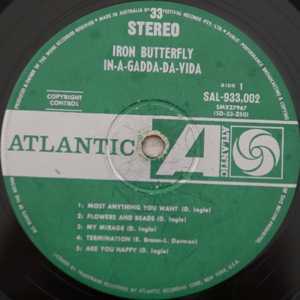 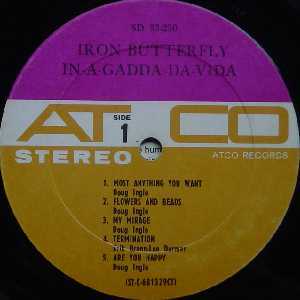 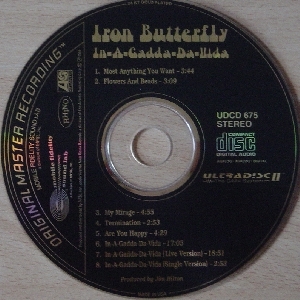 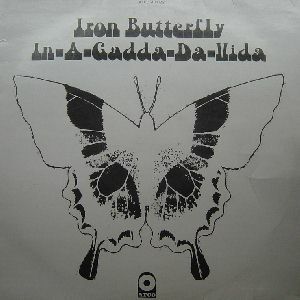 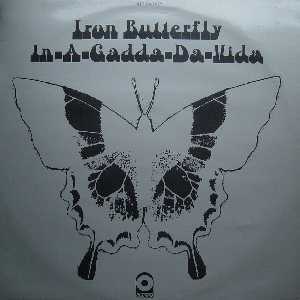 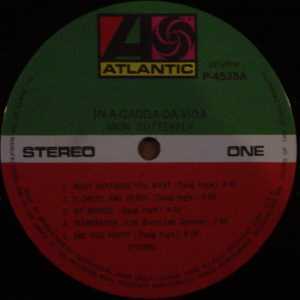 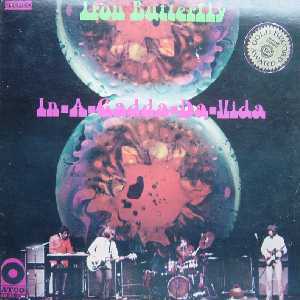 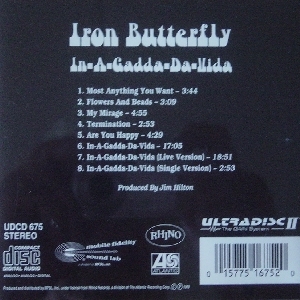 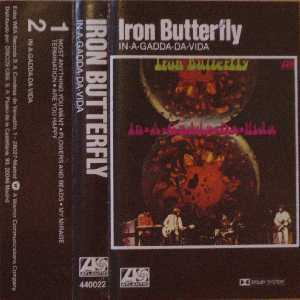 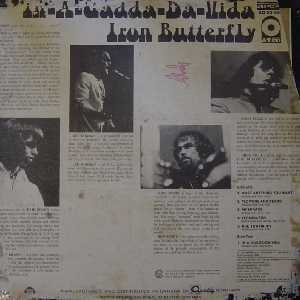 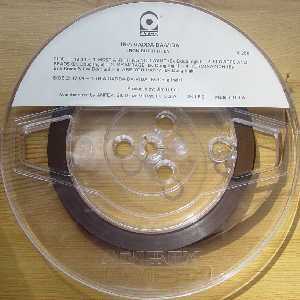 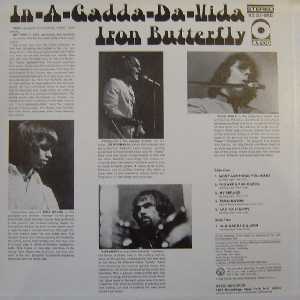 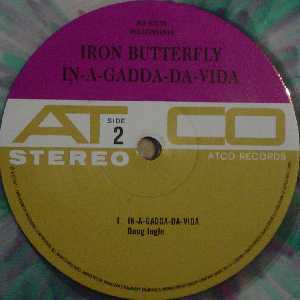 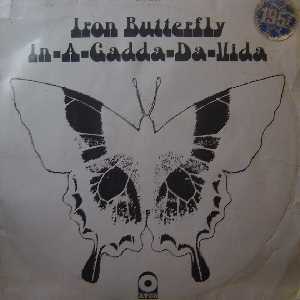 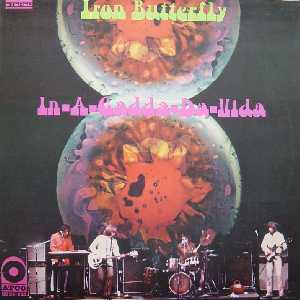 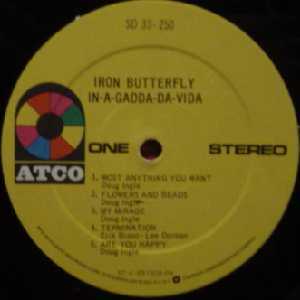 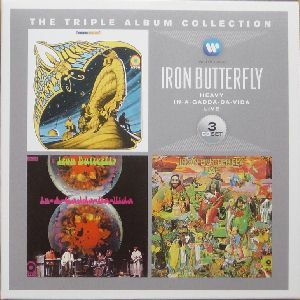 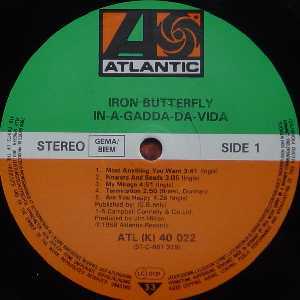 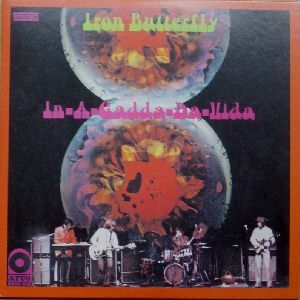 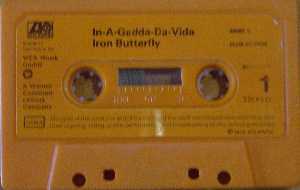 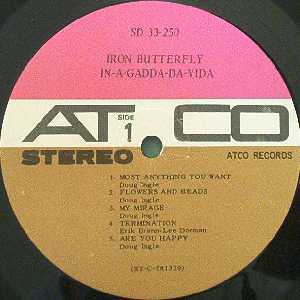 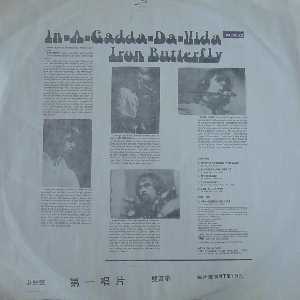 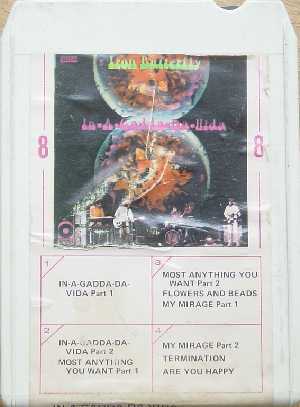 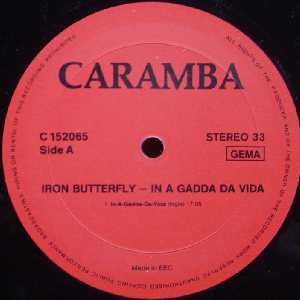 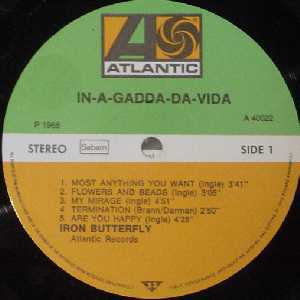 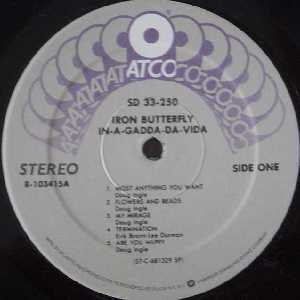 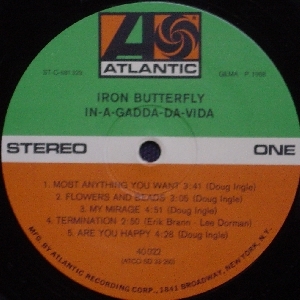 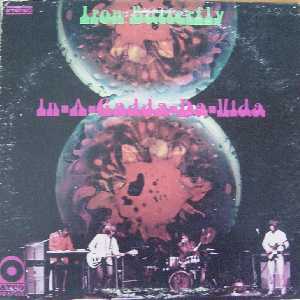 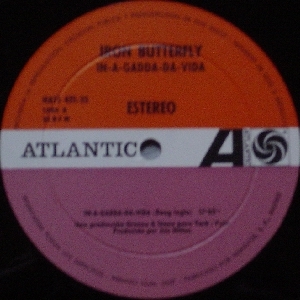 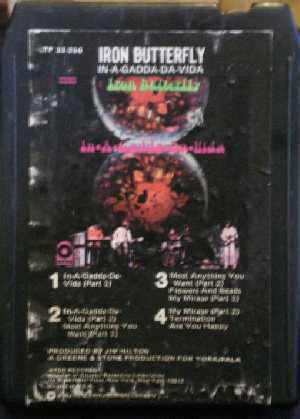 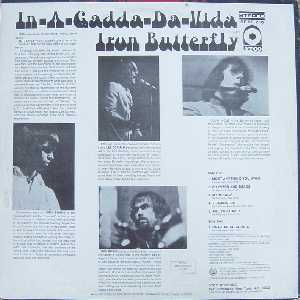 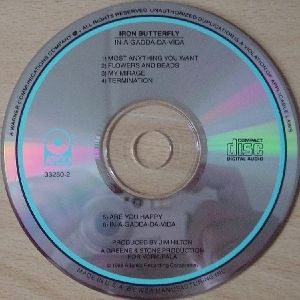 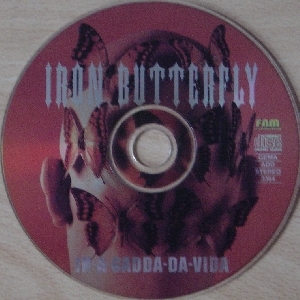 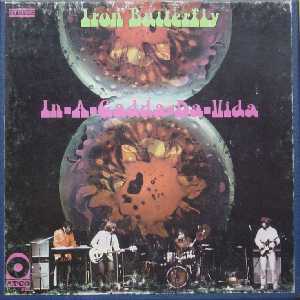 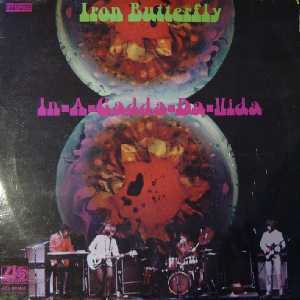 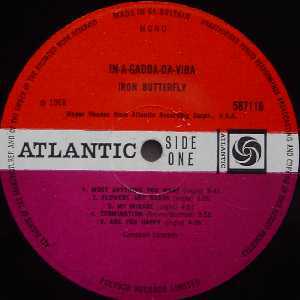 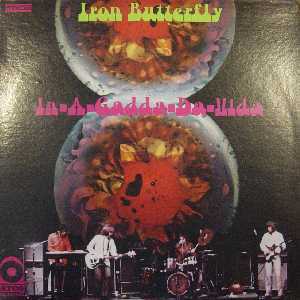 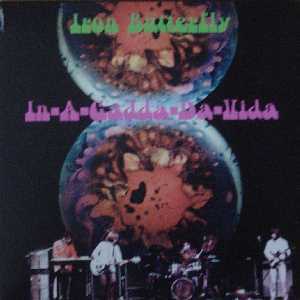 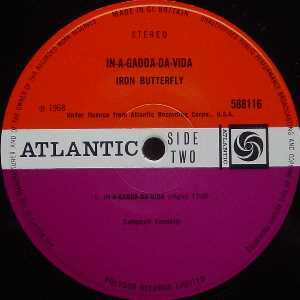 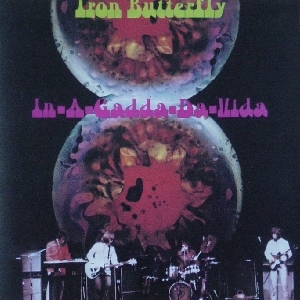 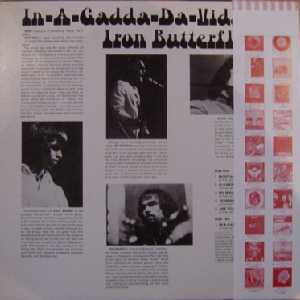 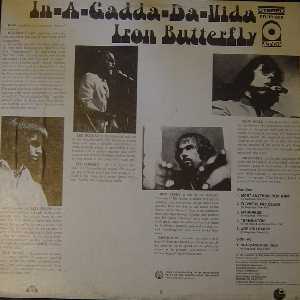 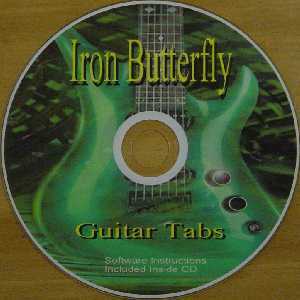 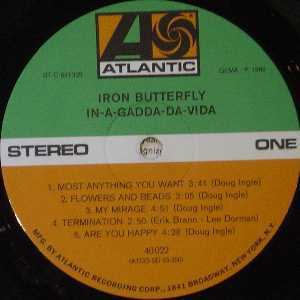 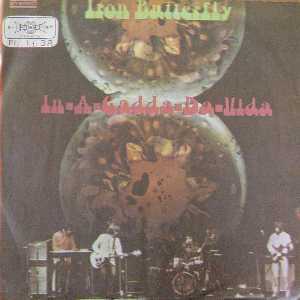 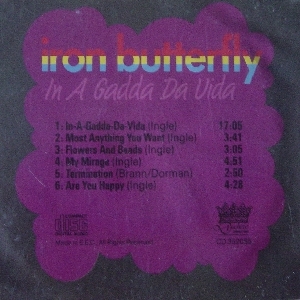 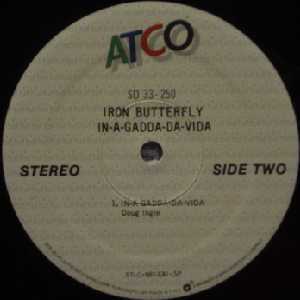 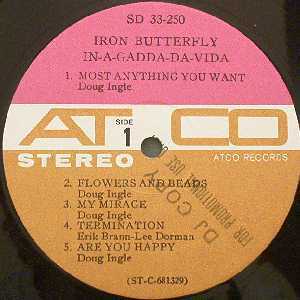 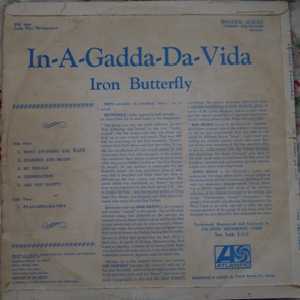 CD-Rom with computer file and guitar tabs of In-A-Gadda-Da-Vida. 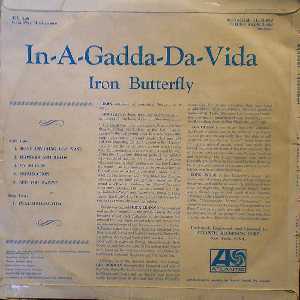 Warning: contains many musical errors.